JKA is an organisation that caters for people from all different cultural backgrounds, from ages of 6yrs and up. We also provide separate classes for children, teenagers and adults, beginners and advanced. Our traditional grading system helps guide each individual’s improvement and technical ability, and we aim to provide a positive learning environment. We encourage goal setting and recognise that people have different goals and objectives. Some wish to become proficient in self-defence, whist others still wish to compete in competition. 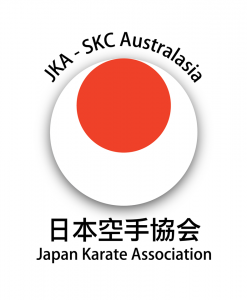 JKA is an active member of the Australian Karate Federation with many students competing at the highest level. Our training programme also provide you with other benefits, such as fitness, flexibility, increase motor skills/coordination, reflexes as well as developing your self confidence. Japan Karate Association (JKA) has the most innovative and comprehensive martial arts programme available today. We strive to keep up to date with the latest sports specific training by constantly pushing the knowledge of our coaches and students through seminars and cross-training from nationally renowned coaches, also inviting guests of the highest calibre from all around the world. Our proven system based on over 40 years boasts many students with National and International success. So come in and try this dynamic martial art and realise the long-term benefits you will gain. At JKA we have experienced and qualified instructors that assist and teach on a regular basis. Each instructor within our organisation has a minimum of four years experience with the average being over 10 years. Furthermore all instructors at JKA must go through vigorous training on how to coach. Many of them have also completed a Government Approved Level 1 National Accredited Coaching Scheme (NCAS) course.